Redknapp chasing Porto defender | The Transfer Tavern | Where football transfer rumours fly or die! 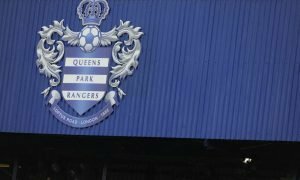 Any club with Harry Redknapp in charge is likely to be busy in the transfer market and this year is no different with QPR fans in the Football Transfer Tavern arriving back from today’s game to learn that Redknapp is trying to bring FC Porto’s Rolando to the struggling Premier League club. Mirror Football reports that the 27-year-old Portuguese international has been a long-term transfer target for QPR, who have tried to sign the defender three times before and he could be the next to arrive as part of Redknapp’s revolution. Porto, who are looking for a fee around £6 million, could sell in January with a possible move to Loftus Road appealing to Rolando. Redknapp has already kick started his Loftus Road rebuild by recruiting striker Loic Remy and Israeli free agent Tal Ben Haim. Remy made a goal scoring debut himself against West Ham United today and Redkmapp is also looking to capture Yann M’Vila in the next few days. The native of Cape Verde, who has made 18 appearances for Portugal, has also been linked with a move to Italy and Napoli in recent weeks with the Neapolitans looking to add steel to their defence over the winter months. Rolando to join the Redknapp revolution? Vote in our polls below.